Yeast across the World have a new best friend, the OxyWand™. 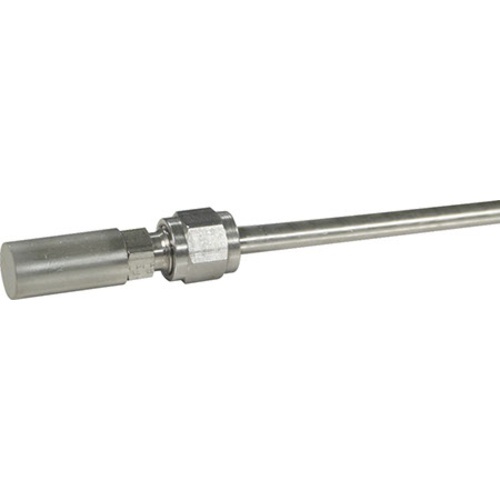 Insert the areation wand into your fermenter and pump in thousands of microscopic oxygen bubbles for 1-2 minutes to improve the health of your yeast. Healthy yeast produce amazing flavors and have the stamina to completely finish fermentation. The assembly is 26" long and will easily reach the bottom of glass carboys, dropped into stainless conicals, Speidel fermenters, etc. 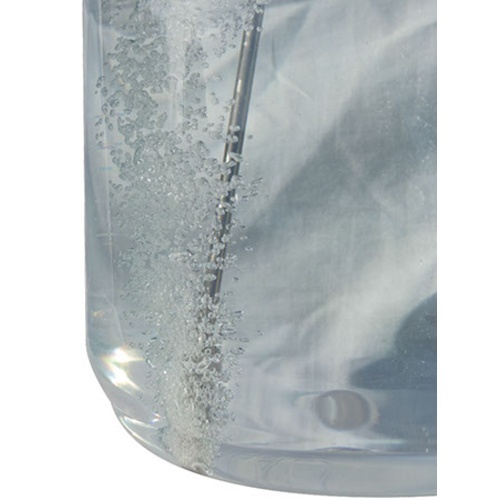 The 2 micron size stone works well with both compressed oxygen or aeration pumps. You will want to use 1/4" tubing. See the recommended regulator below to connect to disposable style compressed oxygen cylinders available from your local hardware store. See the high-pressure, deep water style air pump to use with regular air. The advantage of using compressed oxygen to oxygenate is speed - you can oxygenate your wort in 60 seconds as opposed to 30-120 minutes with aeration. The advantage of using a pump for aeration is cost - you never have to buy compressed oxygen cylinders. old one finally clogged after several years of use, I think I touched it too many times and eventually the oils from my skin clogged it up. What would I need to hook this up to a tank of nitrogen with a regulator in order to sparge wine? BEST ANSWER: Hi Dustin - This item is intended to increase the amount of oxygen in your solution. 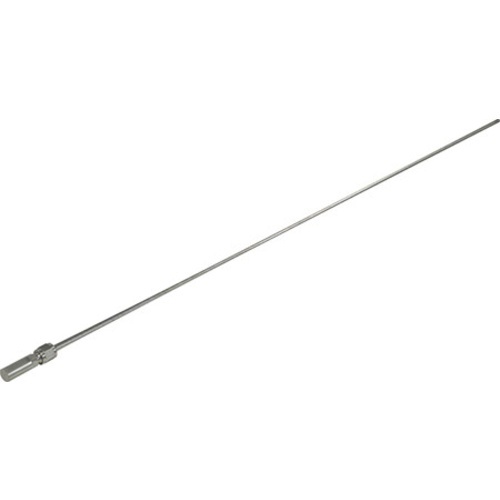 Attached is the proper item that would correspond to the OxyWand. I make a lot of lagers and if you don't take care of the yeast the beer just won't come out as well as you would like. One of the requirements is O2 in the wort when you pitch the yeast and this thing gets the job done, much better than the clugey thing I was using before. From what I can tell after one test brewing an identical batch without aeration, my fermentation efficiency improved by about 25% (based on before/after SG readings). If you do a primary in a carboy, this is much better than agitation. I used to use a 0.5 micron stone, 2 micron is WAY easier to clean and sanitize. This wand is easy to disassemble for cleaning, and easily reaches the bottom of my fermenter. Perfect for cold side oxygenation before pitching starter. Easy to disassemble, sanitize, reassemble and push fine O2 bubbles for yeast budding optimization. Using it with the Whisper Aeration pump, Sanitary filter, and 1/4 beverage tubing. The tubing that comes with the pump is about 1/8, it fits into the inner diameter of the sanitary filter on one side, the 1/4 bev tubing fits on outer diameter on other site of filter and that goes to the metal tubing, does not require a clamp. My fermentations have started faster and ended more complete since starting to use. I run for 45 minutes prior to pitching yeast. A little clumsy to assemble without touching the stone, takes 2 wrenches to tighten on the stone. I recommend assembling, immerse in starsan to sterilize the tube, then dip the working end in boiling water for a few min. nice up grade from my old method aquarium pump and stone. the new set up is easer to sanitize. I really liked the flow in my wort on the first use but quickly learned that, as stated in numerous places on the internet, you can't do a lot of touching the stone as the oils from your fingers are liable to plug up the tiny tiny holes on this unit. I suggest just using some latex to rubber gloves when handling the stone (screwing it back on after cleaning). It works great when not plugged and a cycle of rinse with hot water, maybe some pbw, rinse and then sanitizer works well. MAKE SURE YOU BOIL THE STONE JUST PRIOR TO USING AGAIN! This will kill bacteria and flushes any remaining residue on the inside. Goes together easy, hooks up easy and is effective with both the oxygen and whisper pump hook ups. Nice size! I keep my stone in an old White Labs vile full of Vodka. I don't boil it anymore and have had no problems. Nothing lives in ethanol.